I have had enough dental problems to last me a lifetime but I do take care of my teeth as much as possible but ever since I fell off my bike and broke my front teeth I have been careful to take care of them as much as possible and that includes using an electric toothbrush, mouthwash and a high fluoride toothpaste prescribed to me. 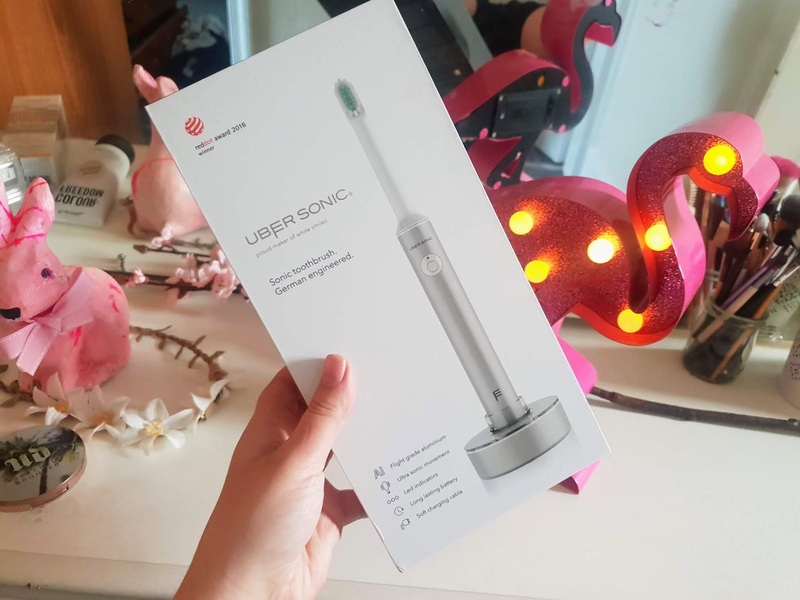 At Uber Sonic they offer high-quality tooth care products and they closely work together with dentists to bring the best toothcare products. They think the key to a healthier smile is to change your toothbrush often for a nice healthy smile. So what is Uber Sonic? They are basically a subscription service that delivers you a toothbrush and after that, they send you replacement heads every few months for your toothbrush to keep your toothbrush at its optimum. The toothbrush is electric and comes with a charger, 2 starter heads and a charger. It basically depends on what package you choose but I kindly got sent the starter package which includes the following products. They are other packages available for couples and small families but another for larger families etc. When I got the box I was pleasantly surprised at how well it was presented in its box. You get all the products you need to brush your teeth and also to recharge it too. 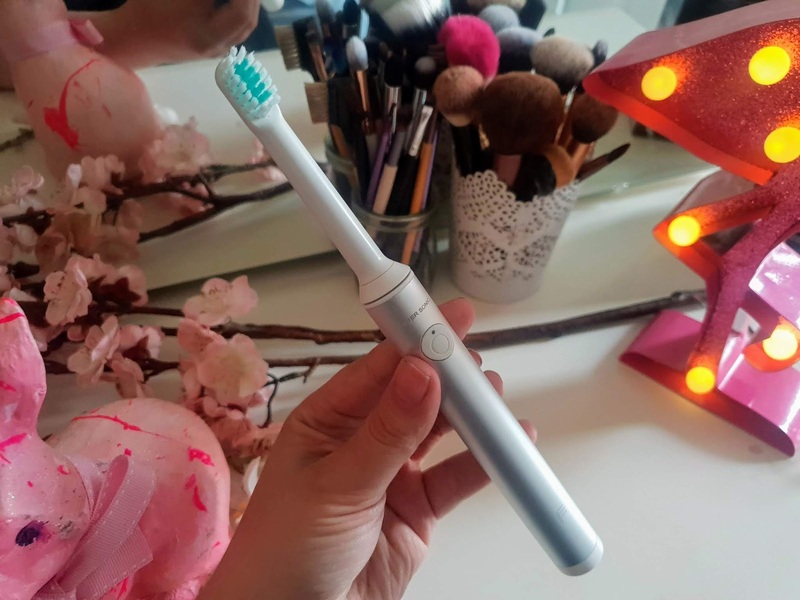 It comes in a nice silver chrome handle but I was a little uncertain with the bristles because to me they feel a little too soft and it doesn't look much different to a manual toothbrush. 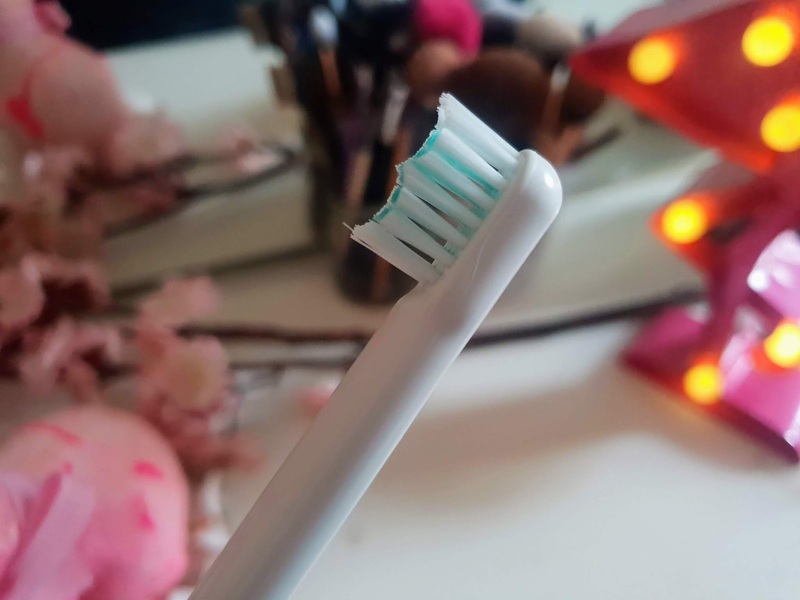 They are huge differences between my oral-b electric toothbrush at this in my opinion and I will tell you why more during this post. It works like most electric toothbrushes by pressing a button on the front of the brush. It basically vibrates the handle and the brush doesnt do much to be honest. The bristles don't do anything but I would be careful not to knock your teeth with this brush as it can make your teeth rattle which isn't brill. It is simple enough to use and very easy to clean though. 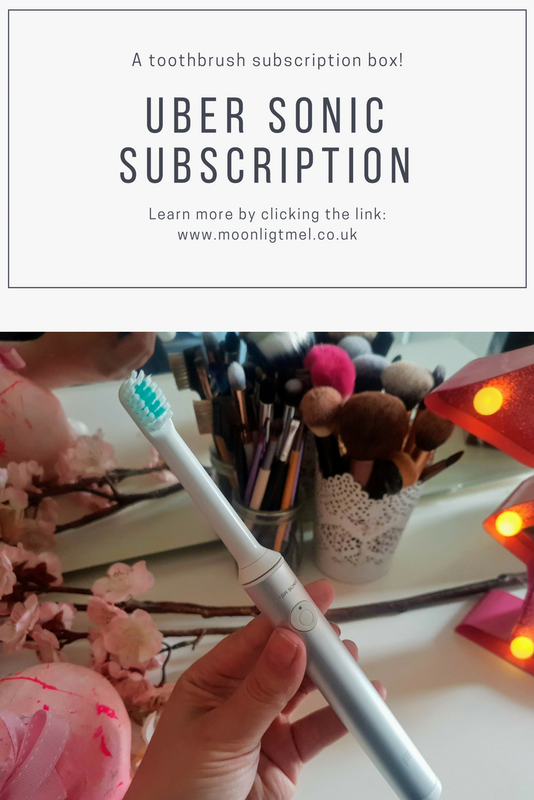 I do love the concept of this toothbrush and it's a great idea to have it as a subscription box because its fab way to remind you to change your toothbrush head because I know for me sometimes for me its not always easy to remember. I would love to give it huge ratings but they are some important problems that would make it so much better if changed. The first one being is the charge doesn't last very long ( a couple of days max) and can suddenly go off during brushing. Secondly, I am not keen on the bristles I find them a little too soft for my liking but I know some people may like that but it is not for me seeing as my dentist tells me how to take care of my teeth. I do still use this brush and will continue to use it alongside my oral-b brush. I love the idea of this subscription box and wish the company well! I would like more info? I've been considering getting a sonic toothbrush. The subscription does seem like a really neat way to go! I'm super forgetful and it would be a good way to make sure I actually get around to changing out the heads. I am so bad and still use a manual toothbrush. Maybe having a subscription come to me would make me change my ways! First time I heard of a toothbrush subscription box. It does look like a neat toothbrush to have. I read that the bristles are too soft. Is there a way to choose medium bristles before you subscribe? I will have to check their website. I would love a sonic toothbrush as I have heard that they remove much more plaque and bacteria than a regular toothbrush. And this uber sonic toothbrush subscription sounds like the real deal as well. I didn't know about this type of brush. Thanks for letting me know. Subscribing to a tooth brush is great! 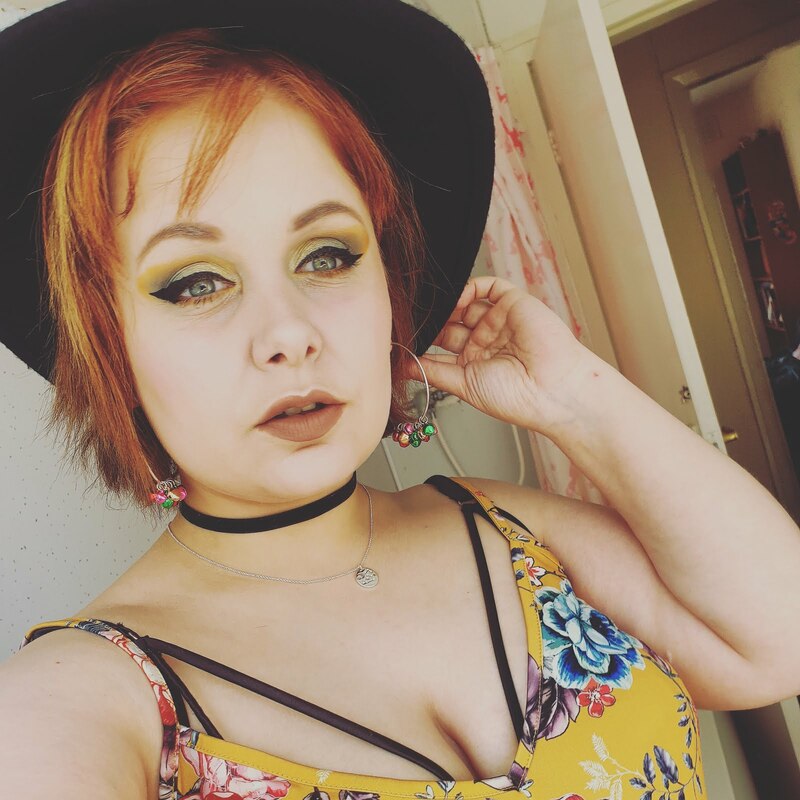 It's a wonderful way to make sure that you change it out every once in a while. I have heard great things about sonic brushes but haven't ever tried one myself, this subscription box sounds wonderful! What a cool toothbrush, I really like the design and packaging. Never heard of a sonic toothbrush though. This is amazing. I am purchasing it. When it comes to dental hygience - I am all cards in. Ready to spend. I love my teeth haha. Thanks for sharing! This looks like such a great product! I would love to check it out. I'm all about dental hygiene.